The medical community’s efforts to address intimate partner violence (IPV) have often neglected members of the lesbian, gay, bisexual, and transgender (LGBT) population. Heterosexual women are primarily targeted for IPV screening and intervention despite the similar prevalence of IPV in LGBT individuals and its detrimental health effects. 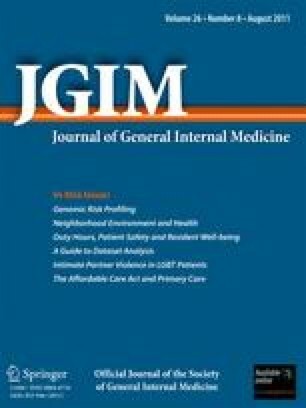 Here, we highlight the burden of IPV in LGBT relationships, discuss how LGBT and heterosexual IPV differ, and outline steps clinicians can take to address IPV in their LGBT patients. Contributors: The authors would like to acknowledge Curt Rogers and Iain Gill for their assistance in the preparation of this manuscript. Gay and Lesbian Medical Association. Healthy People 2010 Companion Document for Lesbian, Gay, Bisexual, and Transgender (LGBT) Health. San Francisco, CA: Gay and Lesbian Medical Association; 2001. Available at: http://www.glma.org/_data/n_0001/resources/live/HealthyCompanionDoc3.pdf. Accessed March 6, 2011. Goldberg J, Matte N, MacMillan M, Hudspith M. Community survey: transition/crossdressing services in BC. Vancouver Coastal Health Authority, 2003. Available at http://transhealth.vch.ca/resources/library/thpdocs/0301surveyreport.pdf. Accessed March 6, 2011. Landers S, Gilsanz P. The health of lesbian, gay, bisexual, and transgender (LGBT) persons in Massachusetts. Massachusetts Department of Public Health; 2009. Available at: http://www.mass.gov/Eeohhs2/docs/dph/commissioner/lgbt_health_report.pdf. Accessed March 6, 2011. McKinley J. Suicides put light on pressures of gay teenagers. New York Times. 2010 Oct 3. Available at: http://www.nytimes.com/2010/10/04/us/04suicide.html?ref=tylerclementi. Accessed March 6, 2011. Sillman J. Diagnosis, screening, and counseling for domestic violence. UpToDate; 2010. Available at: http://www.uptodate.com. Accessed March 6, 2011. Simmons T, O’Connell M. Married-couple and unmarried-partner households: 2000. Census 2000 Special Reports (CENSR-5). Washington, DC: US Census Bureau; 2003. Available at: http://www.census.gov/prod/2003pubs/censr-5.pdf. Accessed March 6, 2011.